Many lawns are riddled with moss, as drainage on the heavy clay soils in parts of Oxfordshire can be a problem. For some people this isn’t a big issue, as they don’t want to face the upheaval of digging the lawn up, addressing the drainage issues and then re-seeding or turfing. However, the best decision is always made when the problem is assessed by a professional and the pros and cons weighed up together. Generally, the cost of rectifying these problems or simply starting again with your lawn is far outweighed by the resulting benefits. 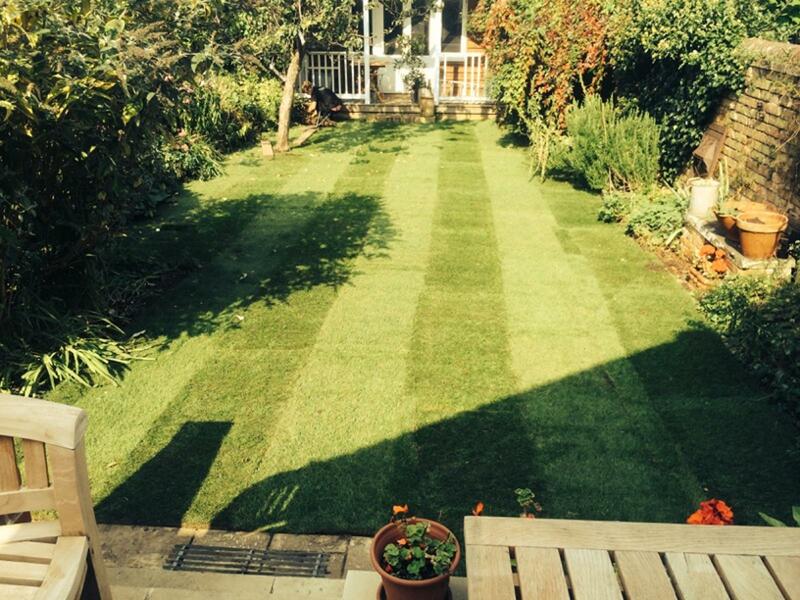 Lawns require specialist attention as the mixture of grass types such as bents, fescues and ryes can vary amongst gardens next door to each other. Some lawns will withstand closer cutting than others, but all will benefit from regular scarification to remove moss and thatch, and top dressing to improve soil structure, drainage and to level out humps. Whether to strim or not to strim is a whole topic in itself but one that we will quite happily discuss with you.